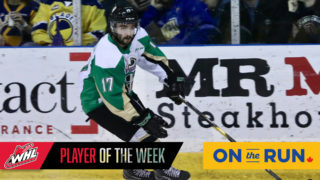 Prince Albert, SK – Four unanswered goals by the Saskatoon Blades was the difference as the Prince Albert Raiders fell 6-3 on Friday night at the Art Hauser Centre. Playing their first game of the pre-season at home, the Raiders-Blades rivalry was in full force with plenty of big hits and jawing between the two clubs. 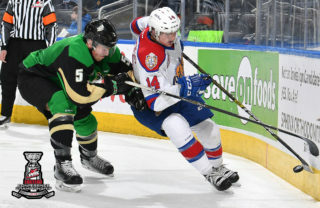 Prince Albert went to the power play eight times in the game, but were only able to find the back of the net once on special times. Raiders rookies continued to lead the way on the score sheet. Luke Coleman and Josh Maser each netted their second goals of the pre-season, while fellow first-year player Dane Schioler also scored. Vojtech Budik led the team with two points (2a). The Blades were propelled on Friday by Cameron Hebig and Josh Uhrich. Hebig scored the first goal of the night and would finish the evening with a hat-trick, while Uhrich notched four assists. Saskatoon also received two-point performances from Chasetan Braid (1g-1a) and Logan Christensen (2g) in their first win of the pre-season. Rylan Parenteau made 21 saves on 26 shots in his first appearance of the pre-season, while Brock Hamm turned aside 31 of 34 attempts. 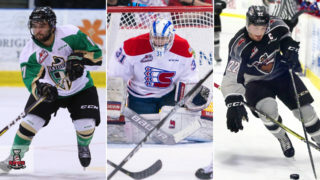 Prince Albert outshot Saskatoon 34-27. 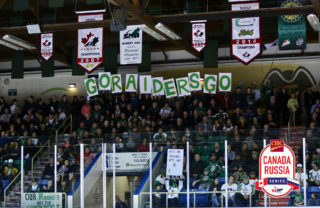 The Raiders went 1-for-8 on the power play, while the Blades were 1-for-3. 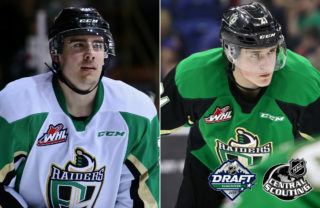 The Raiders fall to 0-3-0-0 in the pre-season, while the Blades even their record at 1-1-0-0. 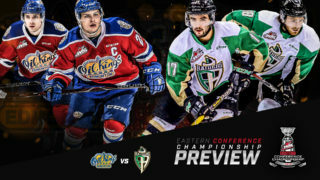 These two rivals hit the ice again tomorrow night from Warman, SK. Puck drop is 7:05 PM.